Many people think that by turning their systems off and allowing their homes to get hotter during the day, they are causing their systems to run less and are therefore saving money, but this is not the case. The problem is that air is not the only thing that heats up when you do this; furniture, carpet, walls, etc. will also heat up. When you get home and turn your air conditioner back on, it actually has to work harder and longer to get rid of all the extra heat and bring the temperature down to a comfortable level. Instead of turning your system off, then, consider simply allowing your home to get a little warmer than you normally would. By setting your thermostat to 85°, for instance, you are not running your system as much during the day, but your air is still being conditioned and all that extra heat is kept out. Even continuous operation at peak conditions can be very efficient, since your system will not be starting and stopping as it would in a typical cycle. Take advantage of the efficiency you paid for! 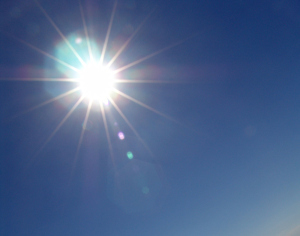 A properly installed and balanced air conditioning system is designed to deliver and return hot or cold air evenly to and from all rooms in your home. Closing doors and supply vents, however, can disrupt this balance and cause certain rooms to become hotter or colder than others, resulting not only in discomfort, but also in decreased efficiency. It also causes air pressure to increase in your ductwork, which could potentially cause or magnify air leaks, again decreasing the efficiency. 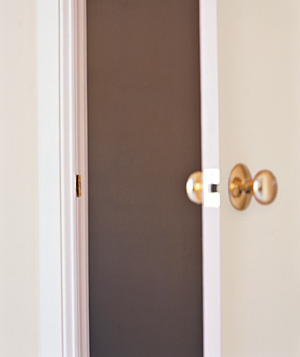 Doors to unused rooms can be closed as long as there is enough space under the door to allow for air circulation; thick carpet which brushes against the bottom of the door creates a seal of sorts. If you do decide to close off some of your supply registers, never close off vents to more than 10% of your total conditioned space. This is one of the most simple, yet most often neglected ways of helping to keep your HVAC system in top working condition. A dirty filter will restrict airflow to your system, decrease the quality of the air in your home, and cause your system to be inefficient by allowing the interior of the air handler to become dirty as well. 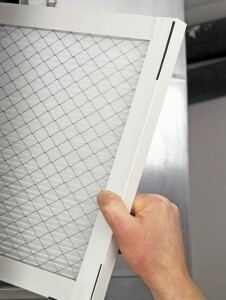 In some cases, major damages to your HVAC system and your home can be caused simply because of a plugged-up filter! The best way to make sure you are getting every drop of efficiency out of your system is to make sure you are maintaining it correctly. Replacing your filters on a monthly basis is only part of this, though. To prolong the life of your system and pre-empt potentially costly repairs, have a qualified technician from Reliant Air Conditioning come out once in the Spring and once in the Fall to make sure your systems are running at their best. Check out our Discount Club – Preventive Maintenance for more information on seasonal tune-ups and what Arctic Air Inc has to offer! If you are TOO HOT or TOO COLD in your home or office, call Arctic Air Inc to do a FREE comfort consultation at 843-821-0937 or submit a request on line.